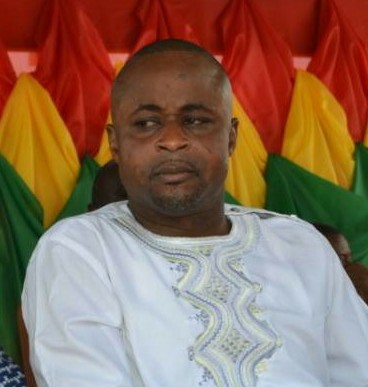 Mr. Jonathan Hammond, the Founder and Chief Executive Officer (CEO) of Golden Finger Natural Foods, has announced his preparedness to cut sword for his ultra-modern manufacturing company at Kasapin in the Asunafo North Municipality of the Brong-Ahafo Region. According to him, as a Ghanaian and an indigene of Kasapin, this establishment is going to complement government’s flagship programmes of ‘One District, One Factory’ (1D1F) and the ‘Planting for Food and Jobs’ (PfFJs). Mr. Hammond noted that, the company has already been approved by the Secretariat of the 1D1F and PfFJs and the Ministry of Trade and Industry (MoTI). And was quick to say, they are almost through with negotiations with GCB Bank for funds to commence the project. He added that, the company is going to reduce the unemployment rate by employing about 1,500 farmers and 300 youth as direct factory workers, also create more jobs for the people through its value-chain. However, he said, over 500 business entities would also be registered as key distributors of the company’s products, and the various banks in the area together with the Company, would collaborate in assisting the farmers to facilitate loans to enable them in the cultivation and production of the designated crops, including fruits and vegetables to feed the factory. Mr. Jonathan revealed that, the company had already secured 40 acres of land in Kasapin through the Chief, Opunuawisie Wiredu Brempong and his people, to build the multi-purpose project. The factory, he said, would be operating under four departments, namely, the food processing department which would be producing about 38 varieties of processed food items, the kitchen utensils department for the production of kitchen consumables, the cosmetics department for the production of body lotions and household disinfectants and the fourth one would be organic fertilizer production, where waste materials from the factory and various food crops, would be organic raw materials for the fertilizer production and beside the benefit of direct supply to the engaged farmers, enough would be distributed for sale to other farmers across the country. Speaking about the welfare and working conditions of the employees, Mr. Jonathan Hammond reiterated that, he will ensure international standards are maintained in his company. He was speaking in an exclusive interview with Ghananewsone.com at the ongoing 22nd International Trade Fair Business Seminar in Accra, dubbed “Financing The 1D1F Policy, The Role Of 1D1F, Participating Financial Institutions And Entrepreneurs”.